Below you fill find all funeral homes and cemeteries in or near Marceline. Their current mayor is Mayor Jacob Gordon. Zip codes in the city: 64658. Marceline is a city in Chariton and Linn Counties in the U.S. state of Missouri. The population was 2,221 at the 2010 census. It was written by The Advocate on March 2nd, 2019 that Letha M Oore (Linebaugh) died in Columbus, Ohio. Ms. Oore was 75 years old and was born in Marceline, MO. Send flowers to express your sympathy and honor Letha M's life. It was revealed by Topeka Capital-Journal on December 12th, 2017 that Martin Charles "Marty" Loethen passed on in Paola, Kansas. Loethen was 66 years old and was born in Marceline, MO. Send flowers to express your sorrow and honor Martin Charles "Marty"'s life. It was reported by The News Tribune on December 29th, 2016 that John Benjain Jr Cinotto perished in Washington. Send flowers to share your condolences and honor John Benjain Jr's life. It was noted by Des Moines Register on October 25th, 2016 that Harland Jesse "Jesse" Cummings passed on in Ames, Iowa. Cummings was 36 years old and was born in Marceline, MO. Send flowers to share your condolences and honor Harland Jesse "Jesse"'s life. It was written by Register Guard on October 12th, 2016 that Charles Anthony Marshall perished in Portland, Oregon. Send flowers to express your sympathy and honor Charles Anthony's life. It was noted by Peoria Journal Star on September 13th, 2016 that Vernon Taylor Sr "Red" Bowman passed on in Washington, Illinois. Bowman was 82 years old and was born in Marceline, MO. Send flowers to express your sorrow and honor Vernon Taylor Sr "Red"'s life. It was noted by Peoria Journal Star on July 6th, 2016 that Roma D Payne (Eads) passed away in Peoria, Illinois. Ms. Payne was 81 years old and was born in Marceline, MO. Send flowers to share your condolences and honor Roma D's life. It was reported by Tri-City Herald on July 15th, 2015 that Thomas Lester Snowden passed on in Pasco, Washington. Snowden was 86 years old and was born in Marceline, MO. Send flowers to express your sorrow and honor Thomas Lester's life. It was written by The Liberty Tribune on September 11th, 2014 that Sidney Owen "Sid" Kempf passed away in Marceline, Missouri. Kempf was 56 years old. Send flowers to express your sympathy and honor Sidney Owen "Sid"'s life. It was reported by Canon City Daily Record on August 30th, 2014 that Margaret Gene Cleveland (Underwood) passed away in Fremont County, Colorado. Ms. Cleveland was 85 years old and was born in Marceline, MO. Send flowers to express your sympathy and honor Margaret Gene's life. The population was 2,558 at the United States Census, 2000 census. In 1887 the Atchison, Topeka and Santa Fe Railway began construction from Kansas City to Chicago. 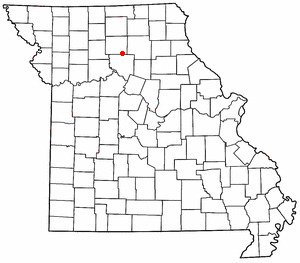 At the 2000 census, Marceline was the second largest city of Linn County, Missouri. A location was chosen as a terminal or division point between these two cities and by January 1888 the first town lot was sold in the newly platted division point of the railway, later called Marceline. Marceline is best known for being the boyhood hometown of Walt Disney. One of the city's major events is September's ToonFest, to which well-known artists are invited. The official website for the city of Marceline is http://www.marceline.org. He is survived by three sons, Bill Carter and his wife Pat of Marceline, MO, Robert Carter and Wanda of New Cambria ... Patricia Mitch. Funeral services will be 2:00 p.m., Thursday, November 4, 2010, at the Macon County R-IV in New Cambria. Listing all funeral homes in Marceline, Missouri so you can easily send flowers to any location (same day delivery) or find any funeral service. Find a Funeral Home inMarceline, Missouri MO to provide the caring burial and ceremonial services your family deserves. We work with local florists and flower shops to offer same day delivery. You will find budget sympathy flowers in Marceline here. Our funeral flowers are cheap in price but not in value.